It's to adventure it as well as can be a test you into the lovely of Batur lake, Batur spring of gushing lava in west side and challange trekking Agung Volcano in east side furthermore disregard the sea perspective of Lombok strait. Mount Abang situated in Suter and Abang town, Kintamani Sub-Distric Bangli regime, it's roughly 60 km from Denpasar city .It pinnacle is 2.152 meters over the ocean level and it as the second most elevated mountain in Bali, it can be put together by physically sound explorer around 2,5 hours, Mount Abang is known as a virgin mountain agreeing local people people,this excursion is a journey up into the extremely profound air charged. En route you'll pass the green tropical woods there are three-hundred years. Your voyage turn out to be more vitality when you ask at the sanctuary amid the trek. See from the top is astonishing with the development of mists that encompass the Lake and volcanoes on one side and Mount Agung and mount Batur. After the trekking we will stop off at Bali Agro-tourism put or customary Bali Coffee handling. In this place you can see a few of tropical manors, for example, Arabica espresso, Robusta espresso and so on. Besides you can perceive how to make Balinese espresso with conventional process. Alongside of that you can get test of them and in addition nearby home grown teas and espresso Luwak (Civet espresso). It's the best one espresso on the planet. What's more for the most part you can see the genuine Civet were ate new espresso beans. 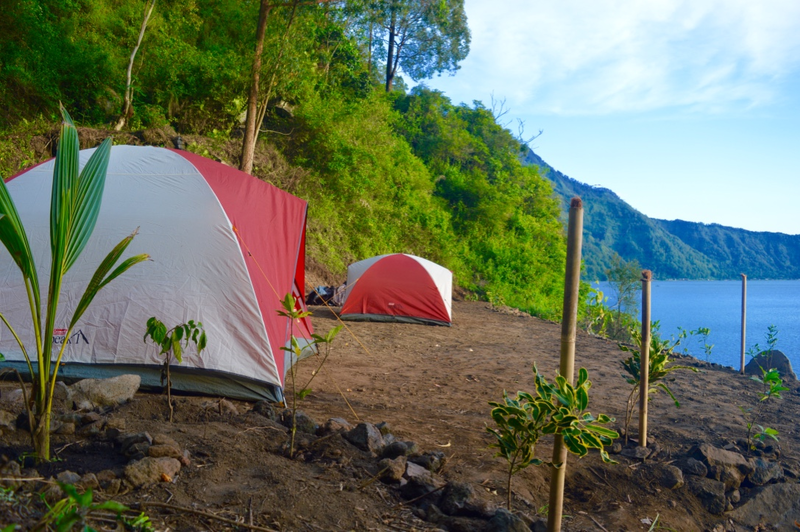 Come go along with us on this astonishing trek as we investigate the dynamic abundance of mountain Batur !!! 01.40-02.30 am - We will get up at your lodging, rely on upon where you are remain in Bali and straightforwardly to the beginning stage at Suter town. 03.30 am - Landed at beginning stage at Suter Village you will:Introduction to our experience proficient trekking, Briefing about security system trekking. 03.40 am - Begin our trek to summit mount Abang. 05.45-07.00 am - While getting a charge out of the staggering perspective and dawn you will be served a breakfast with banana sandwich and bubbled egg furthermore hot tea or Balinese dark espresso. Cap and glove (if accessible), Trekking shoes, Long jeans. Get and come back to your inn by agreeable and aerated and cooled auto. Breakfast, drinking water, hot tea or Balinese dark espresso on summit. Extra charge to Kintamani territory , nibble and tropical new organic products. Stopping, can expense, clean veil, spotlights, trekking guide. Waterproof shell amid in stormy season, Stick for Hiking. Bring some money for tipping aide and driver is suggested.